My favorite amusement park ride. The pirate ship. 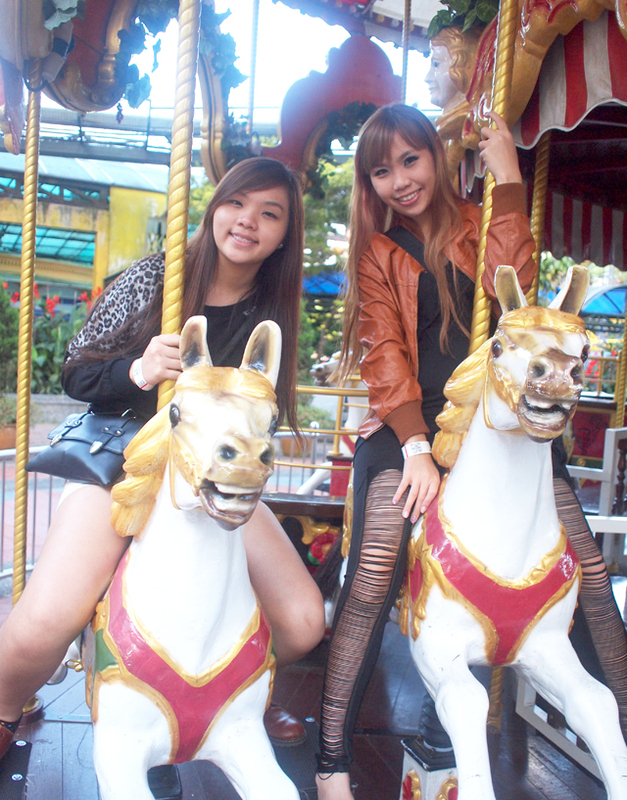 The feeling is so shiok yet not as scary as the other rides! We went on it in the early morning and it did not went up high at all! 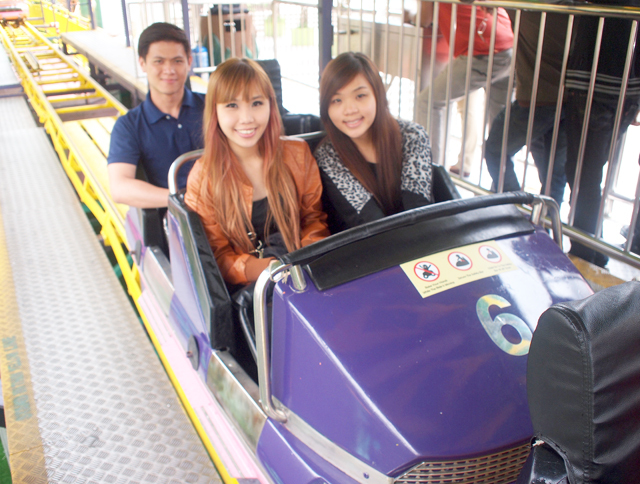 We went down the ride feeling "erm....." Haha. 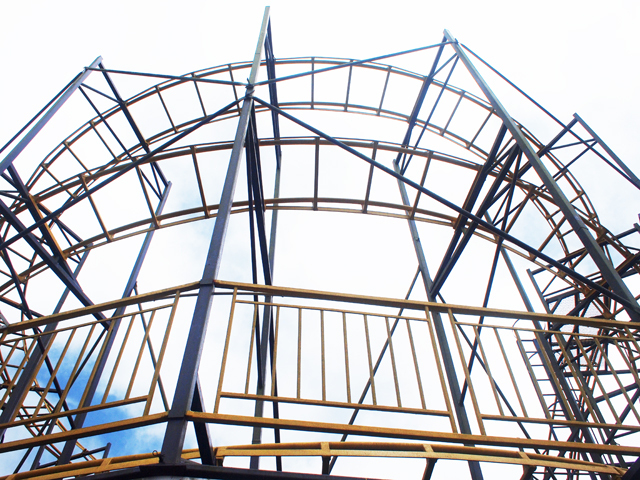 Luckily we went back to sit on it again in the afternoon and this time it was very fun cos it went up really high! I love how empty the theme park is in the morning! 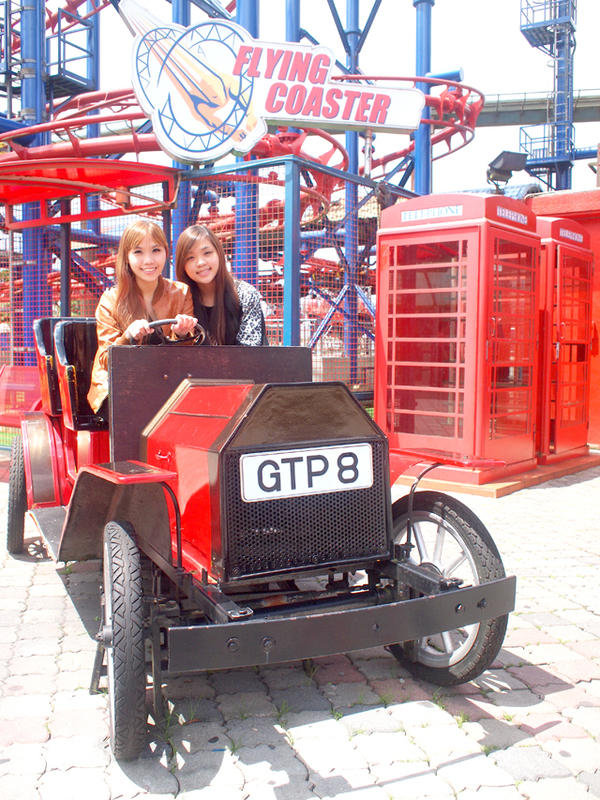 No need to queue and we get to go on more rides within a shorter time! 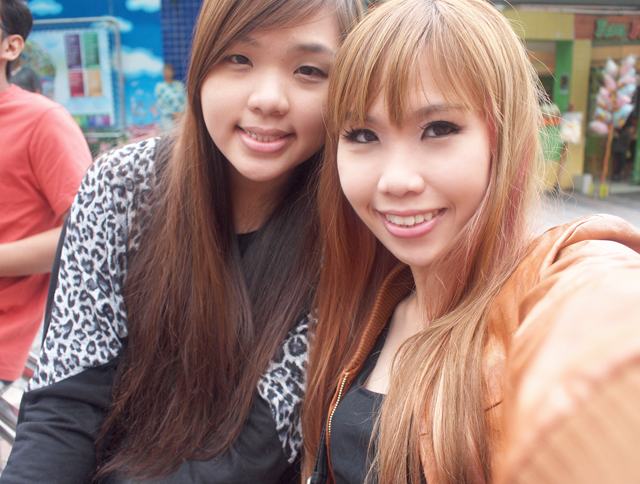 Usually the go-kart have super duper long queue so we decided to head there while it's still early. I won the race by the way! Hahaha. Because my kart was first to go too. 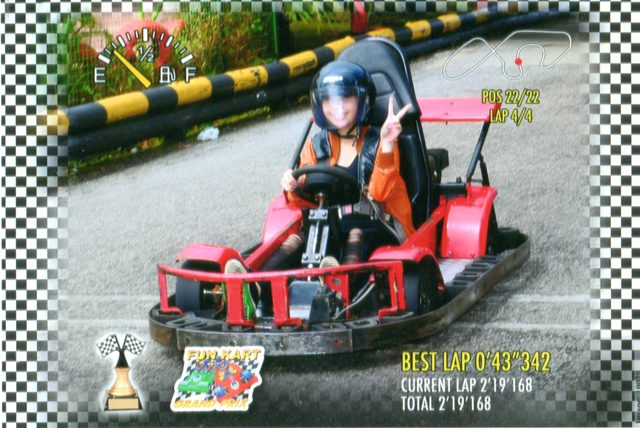 Decided to buy the photo that their official photographer took, because I don't have any photos of myself in a go-kart before! But now I find it a little stupid because this photo cannot really see my face. Why did I put down the helmet's shield! 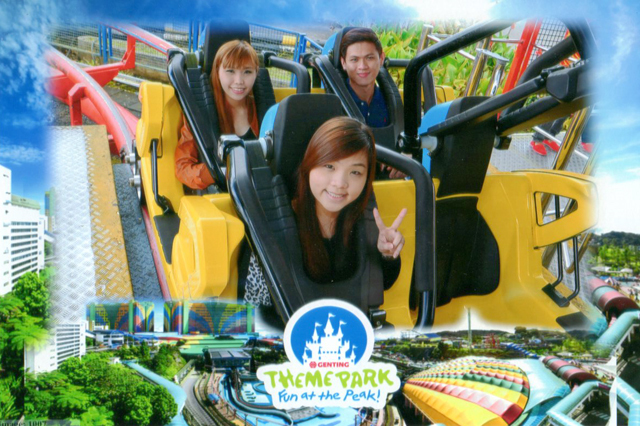 Then we went on the Corkscrew and had our photo taken too. Also a bit stupid because you can clearly see that it was taken before the ride and not during the ride. Yes, because of that safety belt that is up. Haha. Anyway, this ride was quite funny because it was the first ride that bf heard me scream and while I was screaming throughout the ride, he was laughing away. Haha. Then bf went up the Spaceshot. Alone. 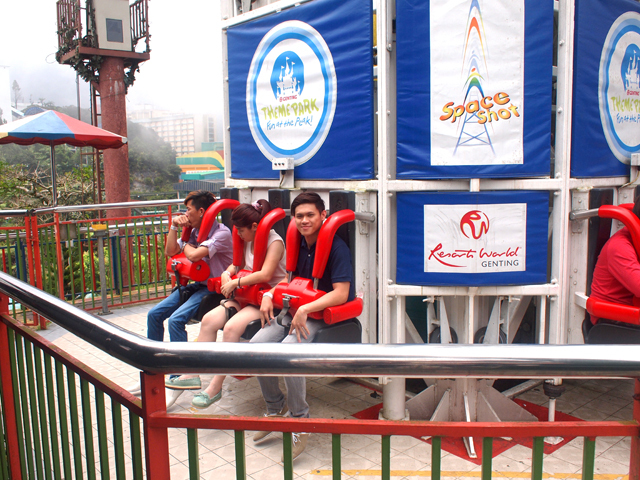 Yes, this is one ride I don't dare to try at all! 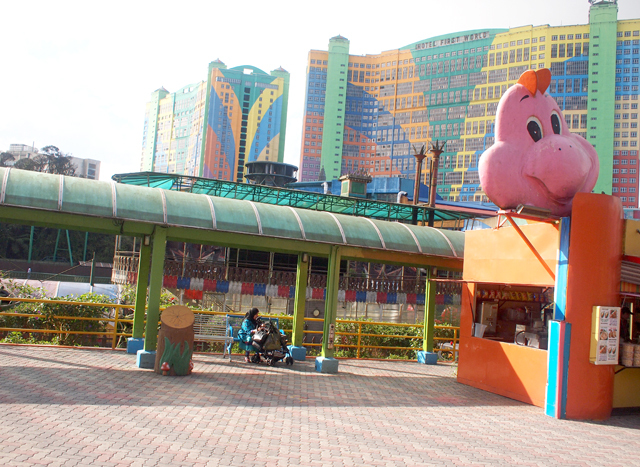 We managed to ride on quite a number of rides before lunch. A new speed ride called The Waves was quite fun too. It got me and my sister laughing so hard. 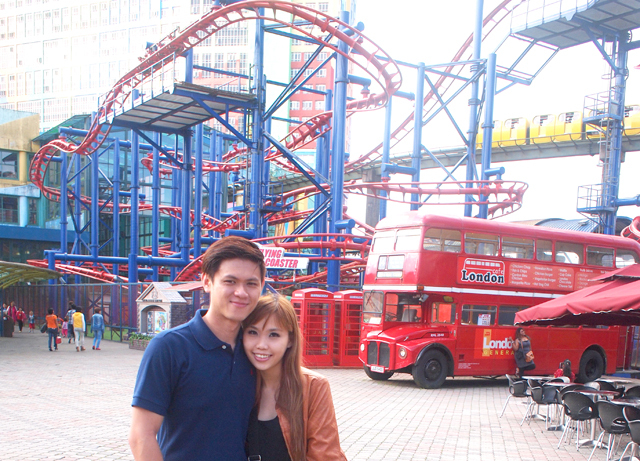 Then, we went on the cyclone roller coaster for the first time after lunch. 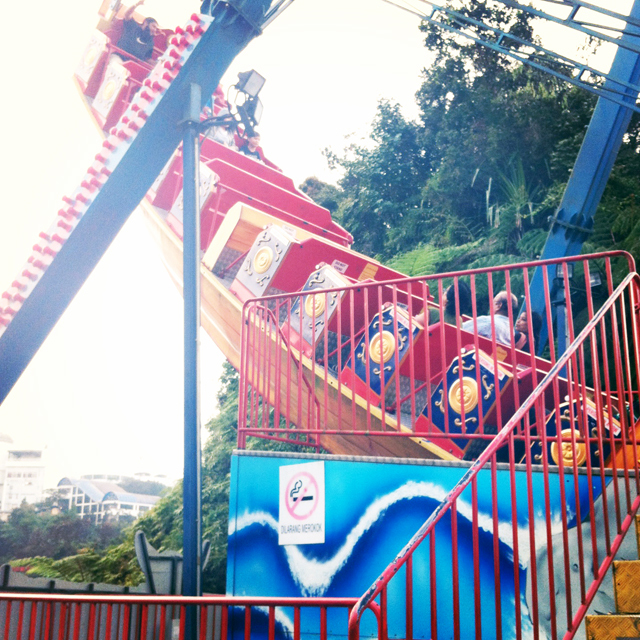 I never dared to try it in the past because my mum said before that it's very scary. As it was after lunchtime, the queue was already quite long when we joined it. 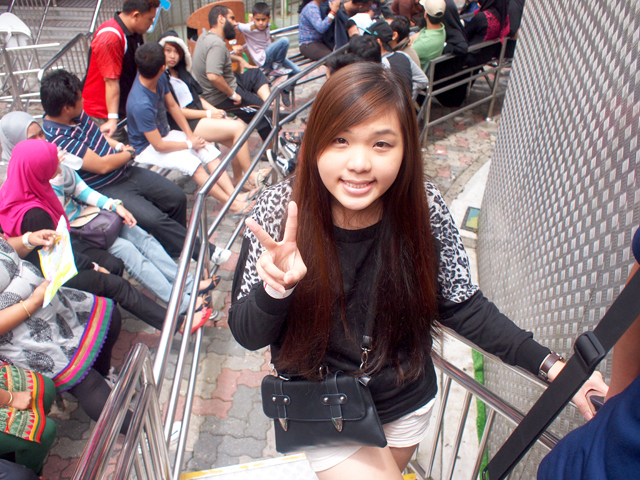 I was all calm and excited while queuing but started to panic when we were almost reaching the front. Was quite scary. Haha. But we went on it twice! 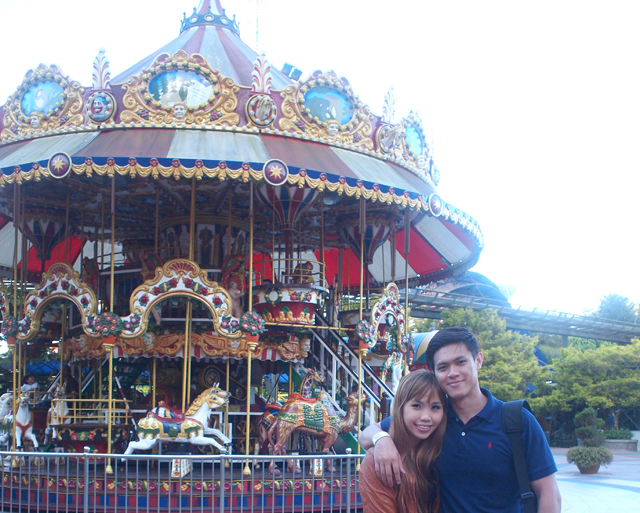 And the 2nd time we took up bf's challenge to not scream at all. Challenge accepted, challenge won. Haha. This is us on the coaster almost ready to go! 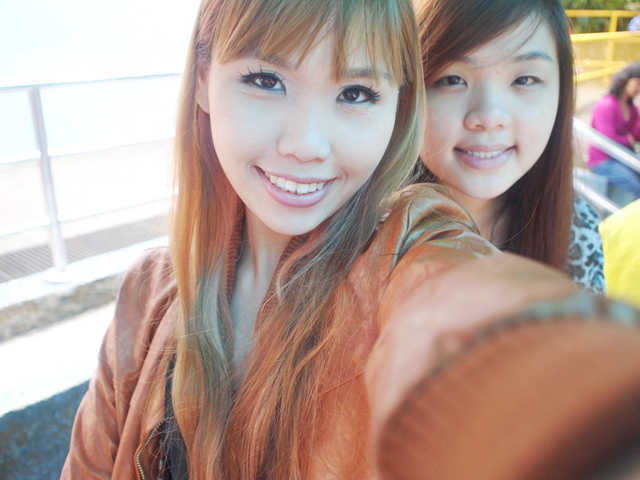 Then we found a corner which serves as awesome backdrop for taking vain photos! Kena scolded by the staff when I went up this bus. Ignored him and quickly snap this photo first! Haha. Then, my sandals broke! I only bought it for like a week or something. So lousy! Went back indoors and bought a pair of plain black slipper for RM15 at Cotton On. Anyway, my bag was on bf's boat and when my sister bumped into his boat (which was actually overloaded with his DSLR and my bag and my sister's bag *I have no idea why all our bags are with him*), a big splash of water drenched my bag. MY BAG. Tsk. This happy photo is so contradicting to my above paragraph. Haha. I guess this was before I knew my bag was drenched. 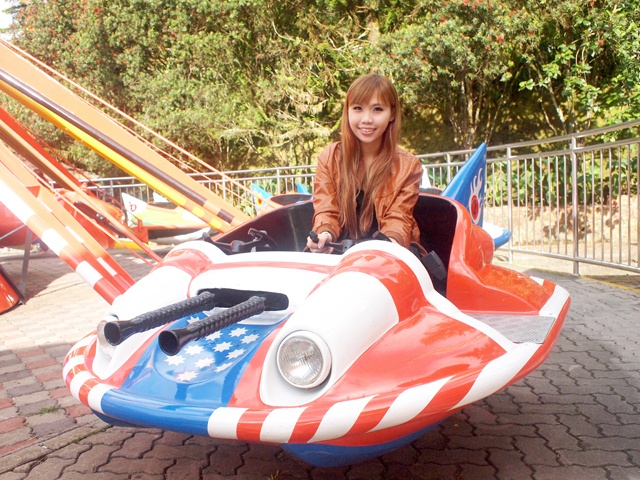 Played the kiddy rides and I really enjoyed them! Hahaha. I was wondering why me and bf so unlucky kept getting the ones that won't fly high. Then while writing this I suddenly thought of maybe it's cos my weight + his weight is too much? 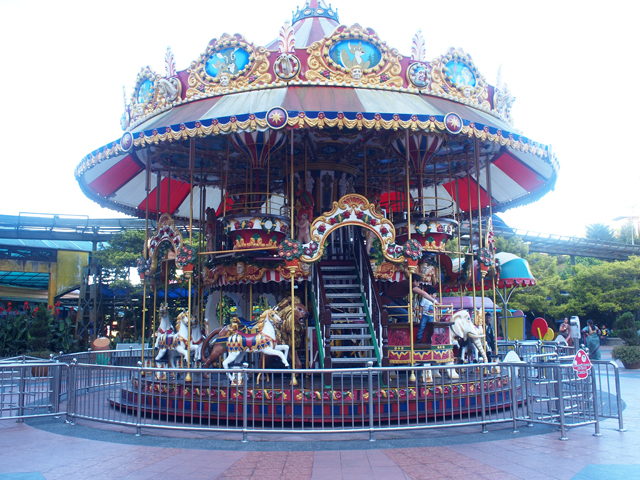 Time for Merry Go Round!